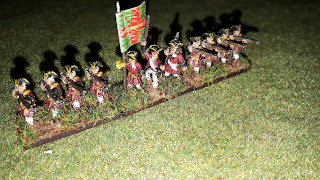 After painting up the Fitzjames Cavalry regiment it got me thinking about extending my Franco Bavarian army. They are currently the smallest contingent I have when ideally they should be the largest. I've come up with a rough idea for this expansion. For the Bavarians I want to add at least 2 more Bavarian battalions to complete a brigade and then add 6 more squadrons of cuirassiers to make 2 cavalry brigades. Luckily I already have the figures for these. 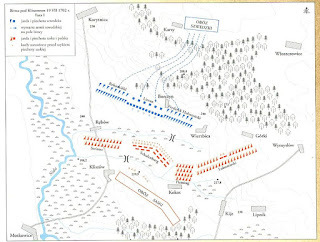 For the French I want to add at least another 15 squadrons of horse and possibly another 2 regiments of dragoons. For the infantry i need to concentrate on some of the foreign regiments and possibly some guards. Enough to keep me busy this year. So first additions are an Irish battalion, Berwick. Love the black cuffs. The figures are all Dixon with the exception of 1 officer from Warrior. The flag for these is from Maverick Models. 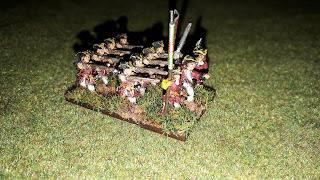 I now have the Dillon regiment on the painting table nearing completion. I want to see more of this project expansion. Well done Neil, beautiful additions! The black is cool and that they're Irish!